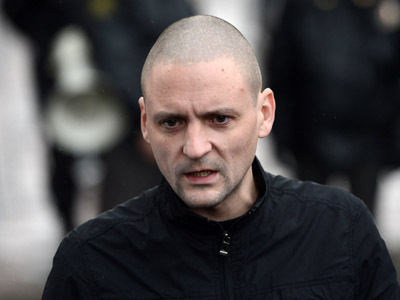 Russian investigators have officially charged Sergey Udaltsov, one of the main leaders of street opposition, with a conspiracy to organize mass riots in Russia. The activist denies all the charges. 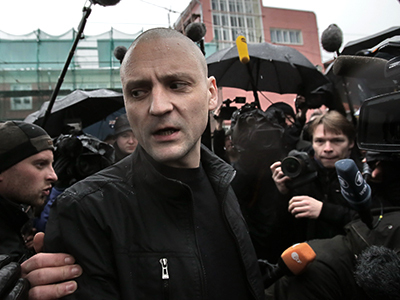 Udaltsov remains under a travel ban, but out of custody, said the spokesman for Russia’s top law enforcement agency – the Central Investigative Committee. 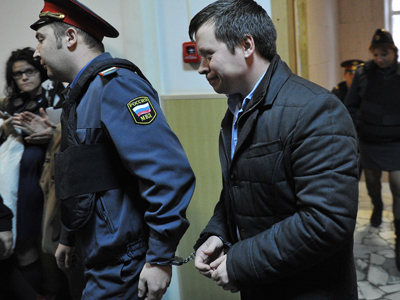 At the same time, two of Udaltsov’s alleged accomplices in the mass riots case remain under arrest. The charges carry a potential 10-year sentence. The criminal case against three leftist activists was started in mid-October after Russian TV channel NTV aired a documentary “Anatomy of a Protest-2” that showed hidden camera footage in which Udaltsov negotiated plans and budgets for organizing rallies and street unrest in Russia with Georgian MP Givi Targamadze. Under questioning Udaltsov admitted that the meeting with Targamadze had taken place, but denied the plans to organize unrest using foreign money. As investigators officially pressed charges against the politician he again rejected them, according to the Investigative Committee’s spokesman. 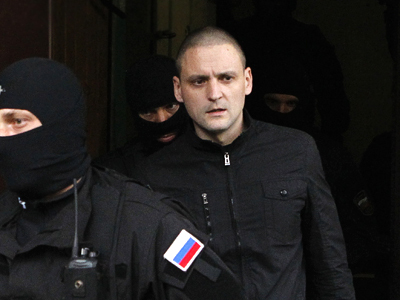 Udaltsov told reporters after leaving the Investigative Committee’s office that law enforcers can place him in custody at any given moment and deliberately do not do that to cause his psychological breakdown or force him flee the country. He also said that he never met the Georgian MP with whom he was shown on the video and never prepared any riots, adding that his lawyers had asked an expert to investigate the authenticity of the footage shown by NTV. The case is complicated by claims of kidnapping and torture made by one of the suspects, Leonid Razvozzhayev, who is a member of the Left Front and an aide to the Lower House MP Ilya Ponomaryov – also one of the leaders of the protest movement. 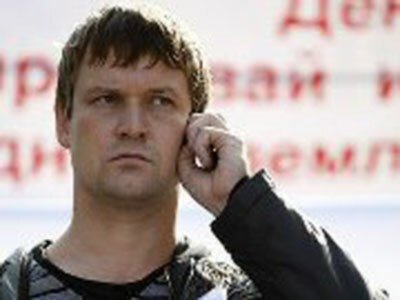 Investigators failed to find Razvozhayev when they first questioned Udaltsov and his aide Konstantin Lebedev. However, a short time later Razvozzhayev was sent to Moscow from Ukraine and officially charged. Law enforcers claim the activist voluntarily turned himself in and gave a written confession, but after a court ordered Razvozzhayev in custody he claimed he was kidnapped and had to sign the confession under psychological pressure equal to torture. He also filed an appeal through his lawyer retracting the confession and claiming the whole arrest was unlawful. The case has already drawn public attention both in Russia and abroad. However, the political leaders in the country remain distant. Vladimir Putin’s spokesman, Dmitry Peskov, told the press that the case cannot and should not be commented on from the Kremlin as it only concerns the investigators, prosecutors, judges, attorneys and rights activists. Parliamentary majority party United Russia also said they will not approve a parliamentary probe into Razvozzhayev’s torture claims, arguing that the task falls to the Prosecutor General’s Office.